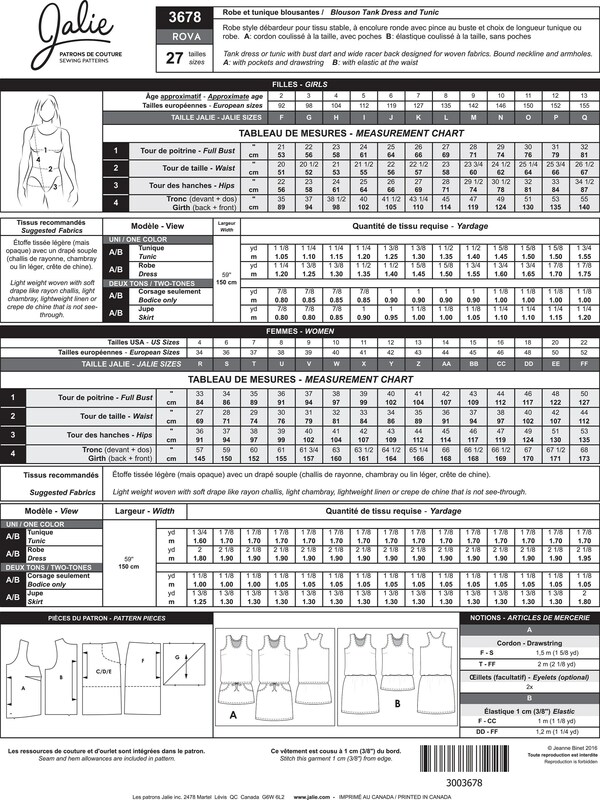 Package includes patterns and instructions to make Tank Dress or Tunic with bust dart and wide racer back designed for woven fabrics. Bound neckline and armholes. View A: with pockets and drawstring. View B: with elastic at the waist.